Locally-owned. Serving Denver, Castle Rock, and Colorado Springs. Providing local and out-of-state moves with a truck or just the professional movers without the truck. Our movers along with your rental are a fraction of the price of using traditional movers with a truck. We can load, unload, pack, shrink-wrap, assemble, disassemble, and re-arrange furniture. You’re moved and just saved lots of money! If you’re planning a move, you aren’t alone. It’s estimated that around 11% of people move each year, and that the moving industry managed to bring in a whopping $85.7 billion in 2016! When you’re planning on moving you have a lot on your mind. After spending time searching for the perfect new home or apartment, it’s time to start packing and finding the time to move. Once you’ve spent weeks preparing, the last thing you want to do is figure out how to transport items. Moving labor could be what you need to ensure that your next move goes smoothly and quickly. Many people think that traditional movers are their only option for moving. Moving labor is different from traditional moving services, but still very helpful and sadly underutilized by a lot of people. Some people reading this may not know what moving labor is, but don’t worry, we’re here to help. We’re going to teach you what you need to know to make the right choice. Companies that provide moving labor services essentially do everything traditional movers do, there just isn’t a company owned vehicle involved. People that provide moving labor are still professional movers, but you provide the mode of transportation. Moving laborers can load and unload your personally rented moving truck, your own vehicle, storage containers, freight trailers, and essentially any and all places you have your items stored. The flexible services options moving labor provides to people can help take care of the most troublesome aspects of moving. If you’re on a small budget, you can hire moving labor to load big pieces of furniture like beds, tables, chairs, and couches. Your biggest pieces of furniture can be safely loaded and unloaded without you having to lift a finger. Moving labor can be a great option for people that are planning on having a DIY move, but don’t want to spend time physically moving items. Now that you know how moving labor services can help you, it’s time to choose if you need to hire traditional movers or moving labor. The answer to this question is largely going to be a matter of personal preference. Everyone has different needs for a move and depending on what you value the most some services may work better for you than others. Once you take time to think about these common moving concerns, you’ll be better able to determine what kind of moving help you’ll need. Let’s face it, moving anywhere isn’t cheap. A Local move or interstate move can cost anywhere from several hundred to several thousand dollars. When you’re already considering the cost of getting a new place, buying new furniture, and possibly starting a new job or mortgage, some people want to save as much money as possible when they move. Traditional movers tend to be more expensive than moving labor. They’re able to tack on charges for things like gas and vehicle rental. Moving labor is a lot more cost effective because you’re just being charged for the time of the people helping you move. There aren’t any extra charges taken on because of transit, you’ve already taken care of them since you provide the vehicle. Moving items seems simple enough to people. All you have to do is get someone with a truck and a few movers, then your things will be wherever your new home or apartment is. In some states, commercial movers need to have a valid USDOT license to move household goods between states. Many movers use this license as a reason to charge people more for their services. Moving labor providers don’t need this extra step of red tape and are able to legally move your items from place to place without the license. Being a good mover involves a lot more than taking objects from point A to point B. People will want to be sure that they’re hiring professionals that can treat their move with the respect it deserves. Moving can be a tough business to be in. Many full service moving companies have employees work long hours, have to deal with needless regulation and may cut employee pay in favor of putting money towards other costs. Some big moving companies can rely on big contracts to float their company. Moving labor companies tend to be smaller and rely more on word of mouth and excellent service to grow. It’s also important to note that moving labor companies tend to pay their employees better. Better paid employees are happy employees, and they’re the ones that will give you the best service possible. Do you remember the last time you had to put a bed together? Even companies that claim to make simple DIY assembly furniture can create some very complicated directions for setting things up. A lot of people don’t know this, but movers aren’t the only people that can help you assemble and breakdown furniture. People that work for moving labor companies can help you with all of your furniture needs. Don’t worry about accidentally putting together your bed wrong, or spending hours assembling your new dining room set. Moving labor can help take care of your furniture. It may seem like moving labor services and traditional moving services only differ in terms of transportation, but after reading this post the true benefits of using moving labor become clear. When it comes to cost, quality of service, and ease, moving labor can’t be beat. 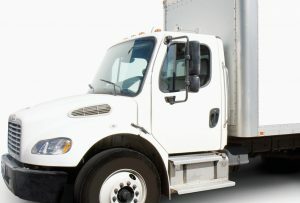 Anyone with a working vehicle can utilize moving labor and have an affordable and simple move. If you’re ready to look for affordable help for your next move, you’ve come to the right place. Check out our handy instant quote calculator so you can price out exactly what you need.